Two sitting U.S. Presidents have honored his community work. In 2008 by President George W. Bush and most recently in 2016 by President Barack Obama, each time receiving the gold level Volunteer Service Award. ​Justin’s political career began at 17 when Governor John Baldacci appointed him to serve on the Maine State Board of Education, making history to become its first student board member. He spent the following two summers interning at Saco City Hall. He was instrumental in re-establishing the Maine Young Democrats, a state affiliate of the Young Democrats of America, serving as its president for two years. When he was chosen to be a Delegate to the 2012 Democratic National Convention, he interned for Republican U.S. Senator Olympia Snowe prior to her retirement. ​Prior to legislative service, Justin had been a TV anchor, producer, reporter, and columnist for various media outlets including WPXT, WPME, FOX 23, KATV, CTN, Biddeford Access, Caledonian-Record, Journal Tribune, Courier, Portland Daily Sun, and the Vermont Center for Community Journalism. He is best known in Saco for his role managing TATV Channel 3 and hosting his own public affairs show while still in high school. He also served on the Society of Professional Journalists National Diversity Committee. ​He currently works as a licensed Realtor at the Bean Group, as the Saco Sport & Fitness's Marketing Coordinator, and as a small business owner, running his own marketing & public relations firm, Chenette Media LLC. After attending Saco public schools, he graduated high school from Thornton Academy while taking a full semester of college courses at the University of Southern Maine. Justin earned a B.S. in Broadcast News and minors in both Political Science and Multimedia Communications from Northern Vermont University-Lyndon. Justin meeting Rotary International President, Richard King at age 11. Throughout Justin's life, community service has always been a centerpiece. This commitment to help others can be traced back to growing up in a Rotarian family. Both of his parents served as Rotary officers when Justin was young. Every week he would attend meetings and help out on service projects including Operation Christmas Child, organizing pancake breakfasts, and even attended the International Rotary Conference meeting it's president when he was a mere 11 years old. Aside for playing on a Little League baseball team for 3 years, Justin applied the skills he was learning in Rotary into his Elementary and Middle Schools. In 5th grade, Justin was the student representative on the School Advisory Board where he successfully pushed for a school policy change adopting mandatory student uniforms. This was an effort to combat bullying based on socio-economic differences. He was even interviewed by a local TV station for his advocacy. While in high school at Thornton Academy, Justin was the station manager, executive producer, anchor, reporter, and host of TATV Channel 3; Saco's educational television station. TATV is one of the only student-run TV stations in the entire country. Justin became most know for his work as the host for the public affairs show he created, The Issue. Over the course of three years, Justin interviewed over 50 candidates and politicians and produced three live election results shows. His work was recognized by the Student Television Network by honoring Justin with the 2009 Student Broadcast Journalist of the Year award. Justin spoke to thousands of students at their annual convention and interned for the organization for two of their conventions. Having the opportunity to interview politicians and candidates allowed him to learn the importance of holding leaders accountable for their actions and in-actions. He carried that spirit into the Maine State Board of Education, when Gov. John Baldacci appointed Justin as the first member on the board to be a student in 2008. In his 16-month term, Justin pushed for civic engagement curriculum, a universal grading system, increased drug prevention, and to shore up the educational disparity between northern and southern Maine. Justin served on the Student Voices Committee. Justin got his feet wet into the business world when he was hired in 2006 by Maine Medical Center to produce a series of marketing and training videos for their Physician Hospital Organization. He won 3rd place in New England School of Communications 2006 Video Festival for his documentary on the importance of teamwork in the healthcare industry. Between 2007 and 2011, Justin served as an Ambassador and Public Relations Director for Hugh O' Brian Youth Leadership. In this role, Justin completed enough community service to be recognized with a Presidential Service Award from President George W. Bush in 2008 and the Governor's Volunteer Service Award in 2009. During then Senator Barack Obama’s successful run for President, he worked for the Maine Democratic Party as a Youth Organizer continuing his passion for public policy advocacy. On the local level, Justin worked with Saco officials across multiple departments as a Communications Intern throughout 2010. The theme of bi-partisanship has been a common theme for Justin and was firmly cemented as the host of the statewide public affairs show called Youth in Politics on WPXT/WPME. He had the distinct honor of hosting/organizing the first televised gubernatorial debate during the 2010 election season and the 1st District Congressional Debate between Chellie Pingree and Charlie Summers in 2008. In 2009, Justin was accepted to Lyndon State College. There he majored in Broadcast News and Minored in Political Science and Professional Multimedia Communications. During his time there, Justin took on a number of projects inside and outside the classroom. He worked at KATV Channel 7 as a producer, host, and editor of a weekly public affairs program. The Caledonian-Record hired Justin as their New Media Assistant. He took the newspaper from having zero digital footprint to growing their social media presence into the thousands in just a few months. He subsequently worked for his college newspaper, The Critic, as a staff writer and a web editor. After demonstrating campus activism in protesting executive pay for student elected officials, Justin was elected by the Student Government Association to the role of Vice President of Communications and Outreach. He made transparency, accountability, and increasing student involvement top priorities. Through the Lyndon State curriculum, Justin reported, anchored, and produced for the Vermont Center for Community Journalism's Emmy award-winning twice daily live newscast, NEWS 7. He served on the Society of Professional Journalist's National Diversity Committee helping craft policies and tools to assist newsrooms across the country diversify their reporting practices and served as the president of a local chapter. Justin was an integral part of Rep. Linda Valentino’s re-election campaign in 2010 serving as her Political Communications Director and subsequently as a Campaign Strategist on her successful state senatorial bid. In the summers of 2010 and 2011, Justin was brought on board as an intern for the City of Saco. He produced multimedia content to enhance government-citizen relations. Justin joined the Journal Tribune and the Portland Daily Sun as a Political Columnist. In this role, he provided insight and analysis to the political headlines of the day reaching a collective circulation of more 25,000. In April of 2012, Justin took a leave of absence from his job at Fox 23 in order to run for office citing a conflict of interest. 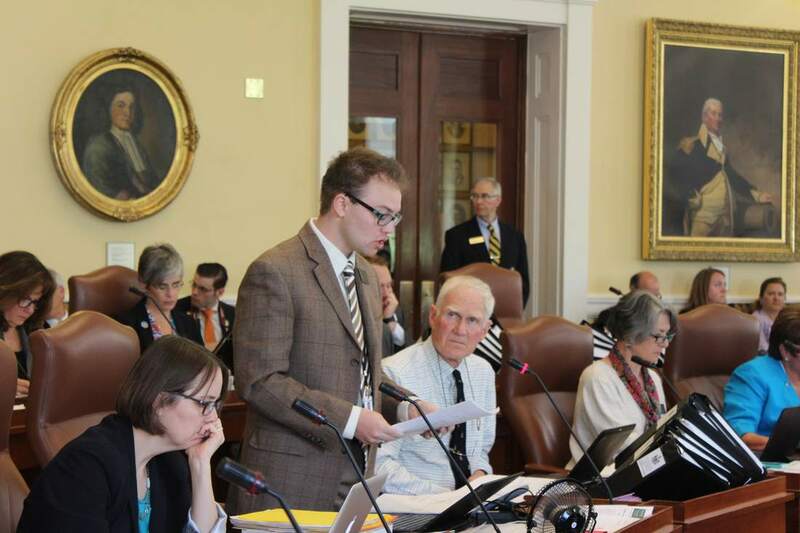 In May of 2012, Justin represented York County as a Delegate to the Maine Democratic State Convention. There he was elected as an At-Large Delegate to the 2012 Democratic National Convention. Justin was one of the youngest members of Maine's delegation to the DNC. There Justin participated in the youth caucus with fellow under 30 delegates from across the country. Justin became a Board Member of Saco Spirit, a non-profit organization committed to community development, economic growth, and promoting Saco's historic downtown. In June, Justin won the Democratic nomination for State Representative with 78% of the vote with 543 votes to 154 votes as the final tally. Justin joined the team at Rocky Coast Marketing, a locally owned and operated small business in Saco, as their Vice President of Social Media in July of that year. There Justin developed websites and managed social media for businesses and organizations. During the campaign season in the Fall, Justin worked out of the U.S. Senate District Office in Biddeford as a Congressional Intern. He prepared correspondence for federal agencies, handled incoming constituent cases and closed previous cases, and assisted in the closing down of the district office as U.S. Senator Olympia Snowe transitioned into retirement. There he learned the importance of bipartisanship, as Snowe, was a wildly popular Senator and well known for working across the political aisle. In the November General Election, Justin won with 60% of the vote with 3,074 to 2,028 becoming the Maine's youngest legislator in the 126th Legislature and making history as the youngest openly gay legislator in the United States at 21. Justin was sworn in as State Representative for House District 134 on December 5th, 2012. 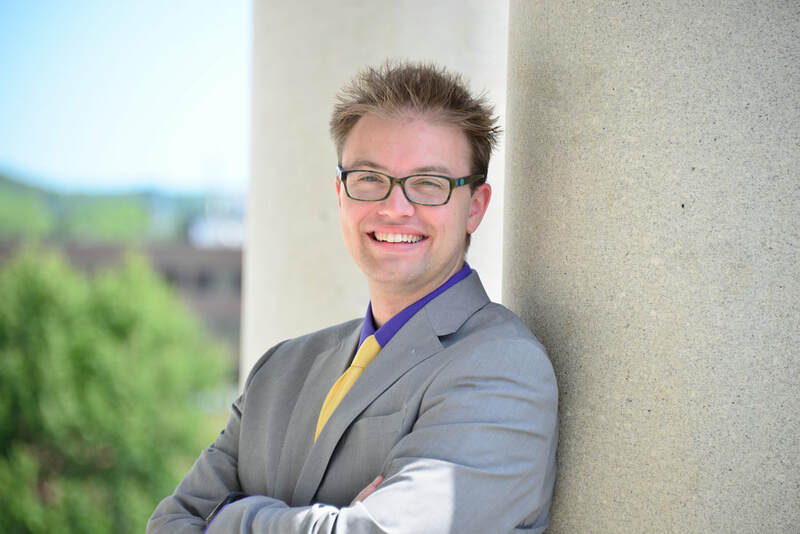 Justin served on the Joint Standing Committee on State and Local Government and was instrumental in forming the youth caucus bridging the political divide with Democrats and Republicans working together on legislation. He served as it's vice chair during his first term. In February of 2013, Justin was named the Maine State Director for the Young Elected Officials Network which supports elected leaders ages 35 and under, as they define issues, develop solutions, and respond to the needs of their communities. The Advocate magazine named him “an architect of the next decade” and listed him among the 40 Under 40 most accomplished leaders throughout the country in 2013. In an effort to continue his background and education in the media field to help others as well as be able to personally afford to serve in the legislature, Justin started his own small business. Chenette Media LLC is a multimedia public relations company that amplifies a clients' brand by infusing social responsibility with traditional & digital marketing communications services, strategies, and publications. The company was started in 2013 and has memberships in the Biddeford Saco Chamber of Commerce, Old Orchard Beach Chamber of Commerce, and the Maine Public Relations Council. ​He was instrumental in re-establishing the Maine Young Democrats, a state affiliate of the Young Democrats of America , serving as its President and representing Maine on the YDA National Committee. Under his leadership, Justin helped create regional chapters across the state along with bringing together Maine High School Democrats, Maine College Democrats, and MYD under one united organization. This joint collaborative is laying the foundation of empowering young Mainers to get more involved in politics and public policy advocacy and helping to reshape the Maine Democratic Party. Justin resigned from his role in late 2015 in order for the organization to grow into forming it's own legal entity to raise needed resources. This was in part due to a new campaign finance reform law Justin championed and introduced, preventing clean election candidates from operating or being principal decision makers of political action committees. In the November General Election, Justin defeated Republican challenger Carol Patterson to earn a second consecutive term in the Maine House of Representatives. He won 62% of the vote with 2,451 votes to her 38% with 1508 votes. In an election that saw a Republican Governor re-elected and Republicans taking control of the State Senate, Justin was one of the few Democratic candidates that actually did better in this election than in 2012 election (his first win with 60%). His fellow colleagues on the legislative 'Under 30' Youth Caucus elected him Co-Chair to help lead the discussions around important legislation to improve the next generation ability to live, work, and play in the state. ​The Speaker of the House, Mark Eves, appointed Justin to the Criminal Justice & Public Safety Committee which has oversight of the Department of Public Safety, Department of Corrections, and handles issues pertaining to county jails, drugs, and criminal laws.